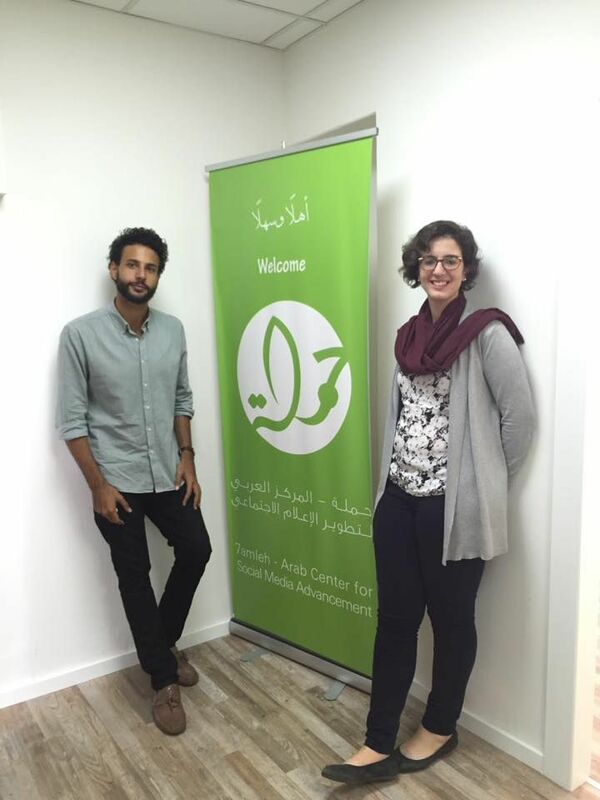 On Friday in the 7amleh offices in central Haifa, members of the BuildPalestine team travelled from the West Bank to conduct a training workshop for members of the Palestinian civil society in the ’48 territories. Spaces were limited as the session was an active training workshop, aiming to really equip the participants with some tangible skills by the end of the eight hours. 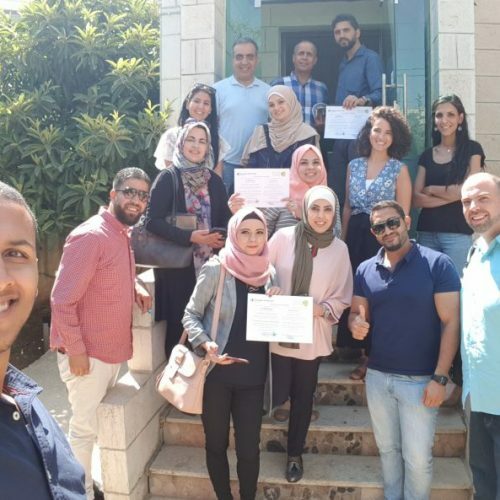 BuildPalestine is a brand new, homegrown Palestinian initiative aiming to use an online crowdfunding platform to transparently fund important community projects without the need for reliance on institutional funding. They aim to go beyond the focus of aid relief, and instead work towards “empowering grassroots problem-solving” and “building communities around causes” by connecting international supporters to grassroots projects which display transparent, innovative approaches to solving social problems. Nadim Nashif, co-founder of 7amleh, introduced the workshop and emphasized the importance of empowering the Palestinian civil society with digital tools, in order that they become easily capable of reaching a wider public. He reminded the participants that more and more digital tools are being produced with each passing day, and that we, as civil society, need to be able to understand and master these tools in order to utilize them to push for social change. He explained that this is the role that 7amleh has envisioned for itself; that as a center for social media advancement, it is our goal to work towards transferring these skills to the civil society as a whole. 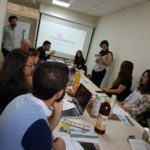 BuildPalestine’s Chief Engagement Officer, Besan Abu-Joudeh, and Chief Outreach Officer, Derrar Ghanem, then took the floor to begin the workshop. They conducted the workshop in a very logical format; first outlining the mechanisms they use for adapting projects to specified target groups, and detailing the importance of conveying the ideas to the public in a marketable way. They then went on to present examples of previous successful and unsuccessful campaigns, using these examples to highlight certain mistakes that should be avoided, techniques that were surprisingly effective, and generally promote learning from previous experiences. 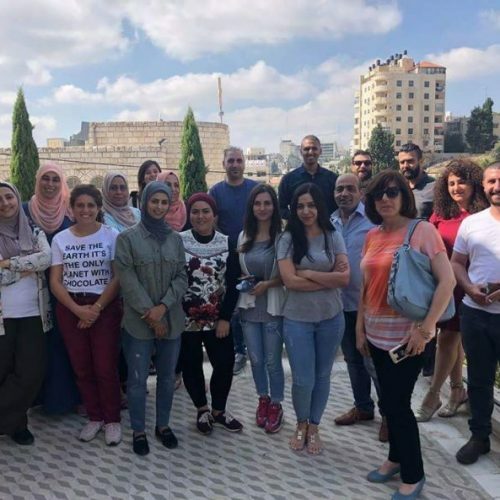 The participants, who were all representing various NGOs, institutions, or themselves as individual artists, then put forward their ideas to Abu-Joudeh and Ghanem. 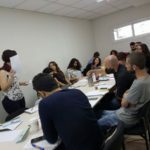 The bulk of the workshop was then spent adapting their projects based on the skills and tools given to them by the BuildPalestine team. All in all, the workshop was very successful, as the participants concluded the day with some very useful and tangible skills that they will be able to implement in their current and future campaigns. 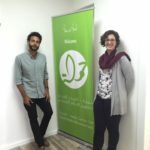 Thank you to the BuildPalestine team!